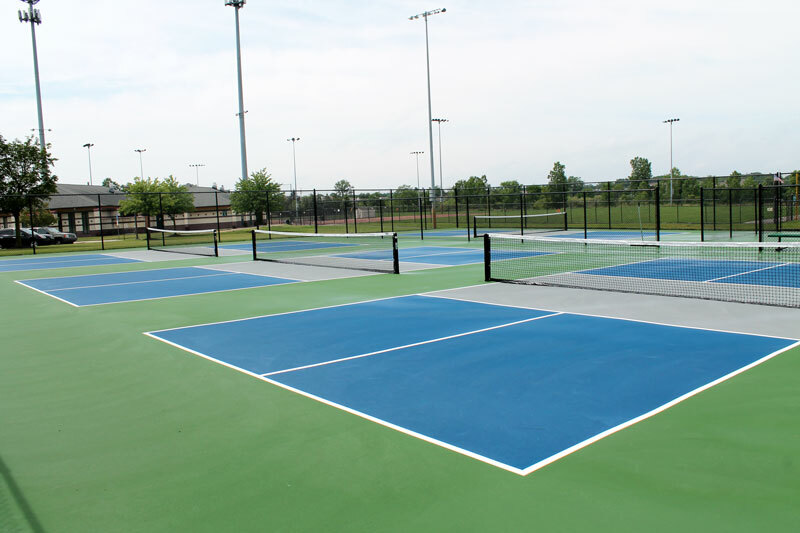 We have 4 outdoor pickleball courts at Drake Sports Park, 6801 Drake Road, West Bloomfield, MI 48322. Drake Sports Park is located on the east side of Drake Road, between 14 Mile and Maple Roads. Hours: All parks are open 8:00 am to dusk. For more information about Drake Sports Park, click here. Add your name to the schedule below to meet and play against other pickleball enthusiasts! Free! Each week, players will be placed in groups of 4 in the order of their ranking on the ladder for match play. You are expected to play every week unless you inform the scheduler that you will be absent. All players will play three doubles games in a round robin fashion with the other three players of the foursome. At the start of the game, players will decide who starts serving first and choice of side. It is recommended that the players change ends of the court when one side has at 6 points the game to minimize the effects of the sun and wind or other factors that may affect indoor play. Missed matches are not made up. ​The percentages are based only on the matches that are actually played. The ladder is designed to be a perpetual ladder with no particular start or end date. Players can enter or leave the ladder at any time. Optionally, the ladder manager may choose to run the ladder for a specified number of weeks so that there are clear winners at the end. After your games have been played, players record their scores on the score sheet that is available in the area. The score sheet can be printed from the schedule that the program creates on the website. Post the individual scores and the total for all three games. Play to 15 points. Win at 15. Clinics are offered on a variety of dates from May through August. Pre-registration is required. Join West Bloomfield Parks as it introduces you to the game of Pickleball. Clinics will be conducted by a certified instructor. In this two hour clinic, participants will learn the terminology, rules and basic skills. Equipment will be provided. Participants must wear tennis shoes.